Disgruntled Arsenal fans have stoked up the pressure on under-fire manager Arsene Wenger by telling the club's board it would be 'inappropriate' to offer the Frenchman a new contract. Wenger's deal expires at the end of the season but having failed to win a trophy in the last eight years, the 63-year-old is facing more heat than ever before in his 17 years in North London. Many of the grievances come from Wenger's recruitment policy, with young French forward Yaya Sanogo the only addition of the close season despite the board's assurances the club had money to spend and could compete financially with the elite. 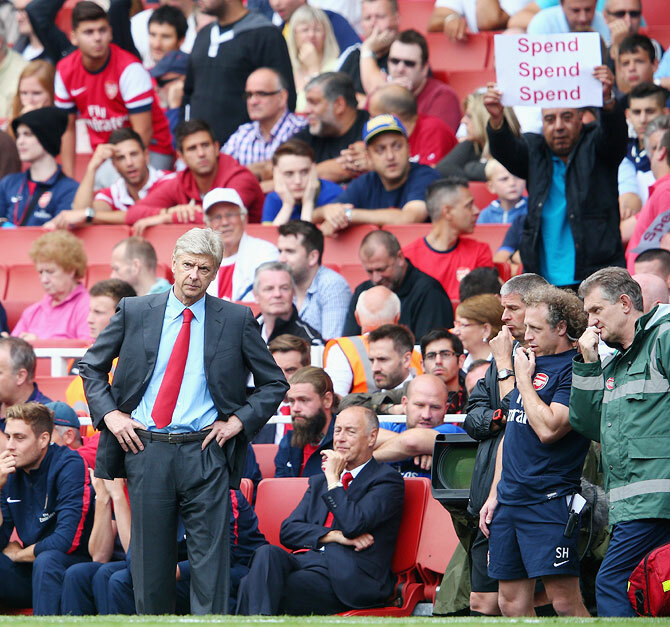 Fans called for investment throughout the disappointing 3-1 home loss to Aston Villa in their Premier League opener on Saturday, with the Arsenal Supporters Trust (AST) saying contract talks for the manager must be put on hold. 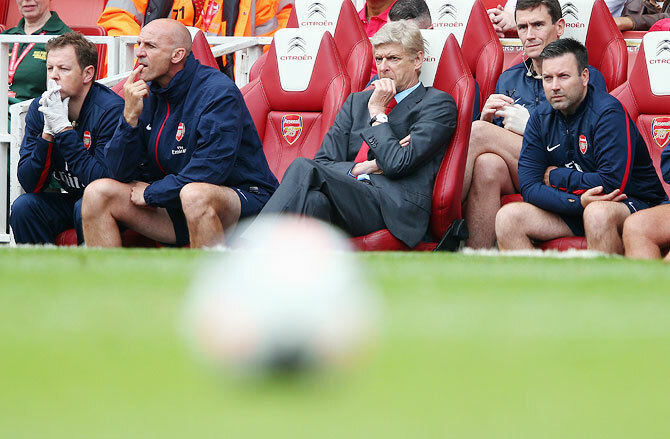 "In recent weeks (chief executive) Ivan Gazidis has spoken of the club's intent to offer Arsene Wenger a new contract. The AST believes this is inappropriate," the group of more than 800 members, who own a handful of shares in the club, said in a statement on Sunday. "There remain important questions about the way player identification, recruitment and remuneration processes are managed at Arsenal. 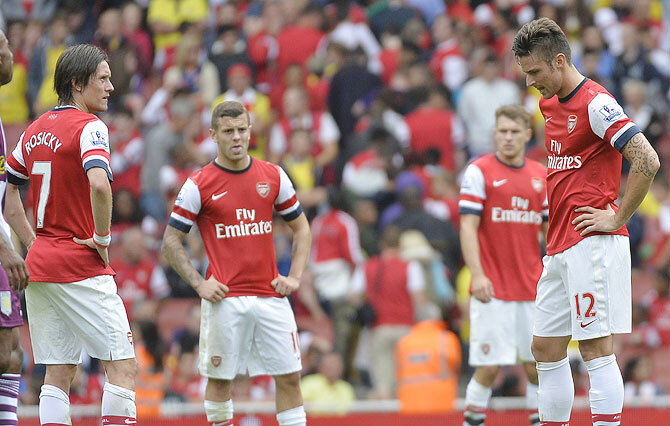 "The failings we highlighted in Arsene Wenger holding too much power have only been amplified in recent weeks. These must be addressed as a matter of urgency." Wenger, who has won three league titles and four FA Cups with Arsenal, told reporters after Saturday's defeat that he and his team 'work 24 hours a day' to try and identify new recruits and that they analyse 'every single player in the world'. Arsenal were heavily linked with Argentine striker Gonzalo Higuain before he moved to Napoli, Brazil midfielder Luis Gustavo, who went to VfL Wolfsburg, while Liverpool have so far rejected all advances for Uruguay forward Luis Suarez. All this while, Premier League rivals ManchesterCity, Chelsea and Tottenham Hotspur, who all have board members assisting on deals, have invested heavily ahead of the new campaign with the transfer window set to close on September 2. "The fact that there is money available for squad strengthening is not disputed. The AST's independent analysis suggests that the amount is somewhere between 70 million pounds to 100 million pounds," the AST said. 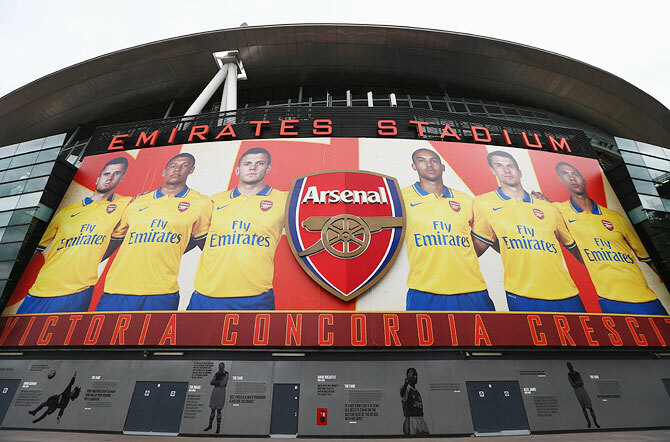 "For several transfer windows now, Arsenal have not used all the resources available to strengthen the team. "A decision on whether to offer an extension to the manager's contract which ends in May 2014 should only be taken following the closing of the transfer window and assessment of the team's performance in the weeks ahead. 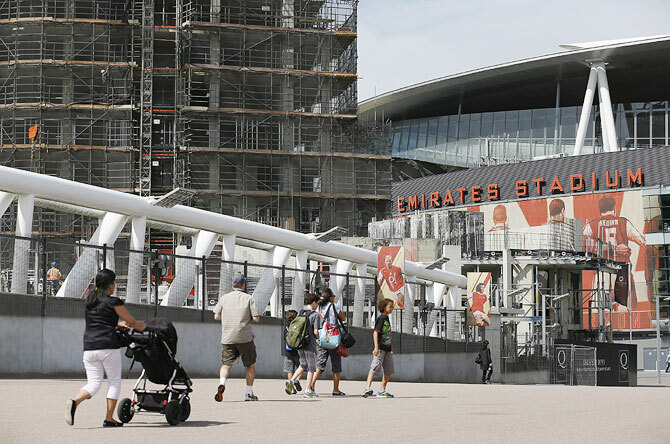 The AST called upon Arsenal's majority shareholder Stan Kroenke, known as 'Silent Stan' for his reticent approach, to appoint an independent expert to conduct a review of all football functions at Arsenal. However, Arsenal honorary vice president Nina Bracewell-Smith voiced her lack of faith in Kroenke on Sunday when she expressed regret at selling her shares to the American, who owns more than 66 percent of the club. Kroenke, who also owns American teams in the NHL, NFL and NBA, bought Bracewell-Smith's shares equating to almost 16 percent in 2011 during a tussle for control of the club with Russian businessman Alisher Usmanov. Through his Red and White Securities, Usmanov and UK fund manager Farhad Moshriri own almost 30 percent of shares after buying up those of former Arsenal vice-chairman David Dein, who recruited Wenger in 1996 and assisted on many transfers before departing in 2007. "Bring David Dein and give Usmanov representation on the board if we are to have success going forward. #AFC," Bracewell-Smith said on her Twitter account. Wenger's plans to recruit are hampered by the busy start to the season with Arsenal away to Turkish side Fenerbahce in the first leg of their Champions League playoff round on Wednesday. They then face a Premier League London derby at Fulham on Saturday before hosting Fenerbahce in the second leg on August 27 in a bid to once again reach the lucrative group stages. Should results not go his way and the transfer window close without the signings demanded by the fans, Wenger could face as much heat from the home crowd as he normally gets from arch-rivals Spurs when the two clash at the Emirates on September 1. Now, Manchester United in the race for Bale?